Promoting employee innovation through technology allows companies to create environments in which different types of people are able to collaborate and become a collective force. Encouraging employees to think outside the box allows companies to develop new solutions, sparks employee creativity, and allows both the company and employee to grow and thrive. The cornerstone of good leadership is to encourage employees to get creative with the technology at their disposal. As AV Integrators, we know the various types of technology that lead to this spark of creativity in the workplace. We also know that technology and creativity are not one size fits all solutions, so it is up to us to both advise and educate our clients on the various ways technology can promote innovation. Technology makes getting our work done so much easier. Not only does it help us be more efficient and streamline everyday tasks, but it also sparks employee creativity. Sometimes it is the simplest and easiest of things that can ignite that spark. Because creative people are usually good at communication and collaboration—setting them up with the right technology to connect with other creative people and share their vision can mean great things for your clients. Not only will it mean their entire team can work together on a project but it will also give everyone the opportunity to share their creative vision. Today, an employee can work from anywhere by having the right apps on their phone or tablet. Encouraging employees to use their own devices for communication outside of the office will also give them freedom and a better quality of life—it also gives them access to what they need when inspiration strikes. 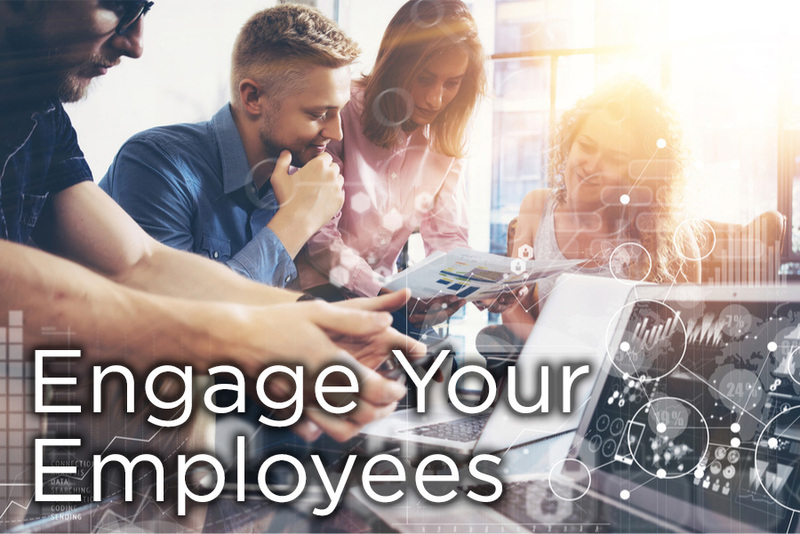 Over 80 percent of employee’s partner with other employees at some point during their workday, making that easier with the right tools will enhance creative alliances. Some of the best tools for collaboration can be downloaded and used on all platforms. Collaborative apps accessible through the cloud and used across multiple devices either in the office or remotely are the best apps to recommend to clients. They will allow teams to work seamlessly no matter where they are or how they are connecting to the project. When looking at apps that could be a good fit for the technology you install for your client, it is important to remember they should allow employees to connect with each other, share ideas, and communicate easily. One example of this kind of collaboration platform would be Microsoft Teams and Cisco Spark. Clients find their easy to use interfaces allow them to get to the business of collaboration without having to figure out the tech involved. However, the best tools for technology aren’t always mobile or downloaded. LED video walls in the boardroom or huddle space allow images to be shown in multiple locations at one time from any source or even different sources, including laptops, mobile phones, and tablets. Meeting participants can send all their ideas to the LED wall at any time from any location to promote collaboration. The video wall can also turn the meeting or gathering space into an impromptu brainstorming session without the need for extra tech to be involved. Project management software allows every employee who is involved in a project to get the information at the same time, easily share their work and ideas, and allows for the team to meet whether they are in the office or virtual, making it a great tool to offer clients. Adding an on-demand video conferencing capability allows employees to meet face to face simply, allowing for collaboration to be easier. Offices today are smarter, designed for collaboration, and technologically advanced. If you have a client that doesn't have those three things, it is your job to help them increase their bottom line by showing them the advances made in technology that will engage employees and encourage collaboration. The use of video in the workplace is visually appealing, drives creativity, and boosts productivity. It is more engaging, giving employees greater clarity into projects, and what is needed. Video also connects employees by allowing face to face interaction whether they are in offices across the city or in another state. By using the right technology in the workspace, employers can save money with streamlined physical spaces. Utilizing smartboards in all public and private spaces allows team members to quickly get on the same page and get down to business. These areas will become popular because they will become hubs that allow for greater creativity and productivity with less disruption. Custom video installations create augmented reality spaces for user-friendliness in companies. Custom solutions can allow for easier content sharing and video on the go. The custom solutions can be integrated into the office to compliment the design and not become a distraction for the employees. Perhaps your clients don’t realize or understand the role of technology in the growth of creative ideas. It won’t be difficult for you to show technology makes it easier for employees to be creative, and to bring their ideas together—taking those ideas further than they even imagined. The mixing of technology with creative employees provides a way for new ideas to flourish. Being connected through technology and apps enables teams to work together without boundaries at the click of a button. Creating environments in which a collection of different types of people work together to become a collective force is the goal of utilizing technology in the workplace. Making the sharing of ideas, a way to combine strengths, while offering the option for employees to learn from each other will enhance the workplace and foster an environment for creativity. A lot of clients will come to you with collaboration goals—but make sure you are also pointing out how collaboration, combined with the right technology, can lead to the creative boost their company may be striving to achieve.